Flamingo’s Spring 2018 City Guide highlights our favorite hangouts, haunts and historical places. Few places in the world are as iconic as St. Augustine, from its marshy outposts to its beautiful beaches and deep into the city’s historic cobblestone village. 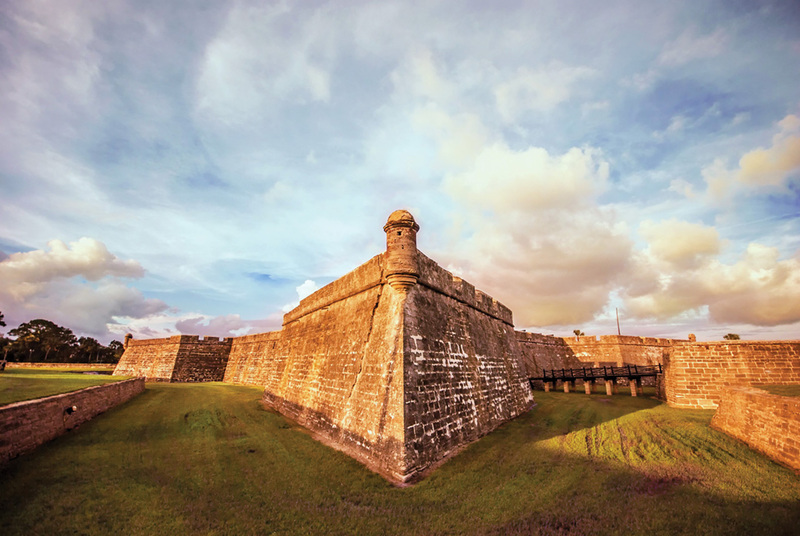 Ancient landmarks like the Castillo de San Marcos, the St. Augustine lighthouse and Flagler College provide an irresistible destination for modern-day explorers. The Old City brims with quaint cafes, craft distilleries, eclectic bars, fine restaurants, food trucks and chic boutiques, as well as a thriving arts and culture scene with live music venues, museums and theaters at nearly every turn. A bounty of old and new treasures placed by legendary barons and contemporary tastemakers glitter like seashells on nearby Anastasia Island. HIGHLIGHTS: St. Augustine and nearby Ponte Vedra have attracted explorers from around the world since 1513. 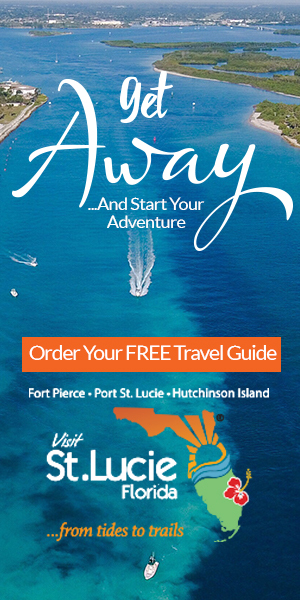 More than 42 miles of white sand beaches, crowned with swaying sea oats, beckon travelers to enjoy recreation and relaxation both on and off the water. Quaint bed-and-breakfasts offer old-town charm while luxurious seaside resorts provide an upscale beach retreat. 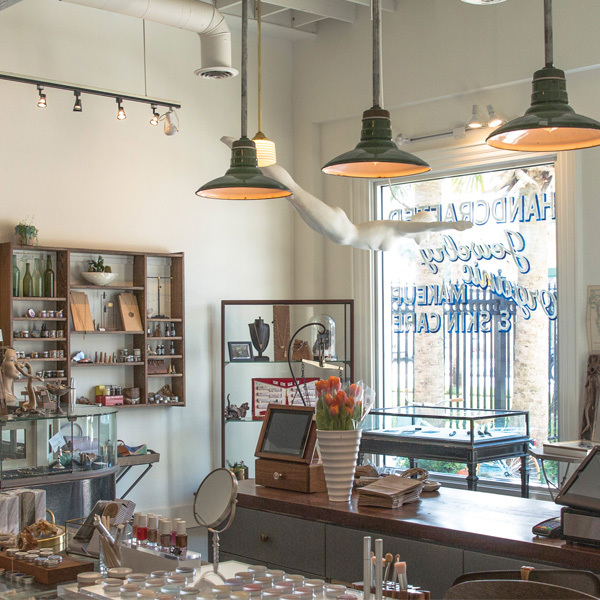 Meander through the historic quarter of St. Augustine to find cozy wine bars, contemporary art galleries and locally-sourced restaurants along centuries-old brick streets. Or walk along the scenic Bay Front, anchored by the city’s iconic Castillo de San Marcos, with gorgeous views of the Intracoastal Waterway and the Bridge of Lions. “We’ve lived in Ponte Vedra for 19 years, but my family discovers something new with each visit to St. Augustine,” says Richard Goldman, CEO, St. Augustine, Ponte Vedra and the Beaches. MOTTO: Our history is not the same old story. 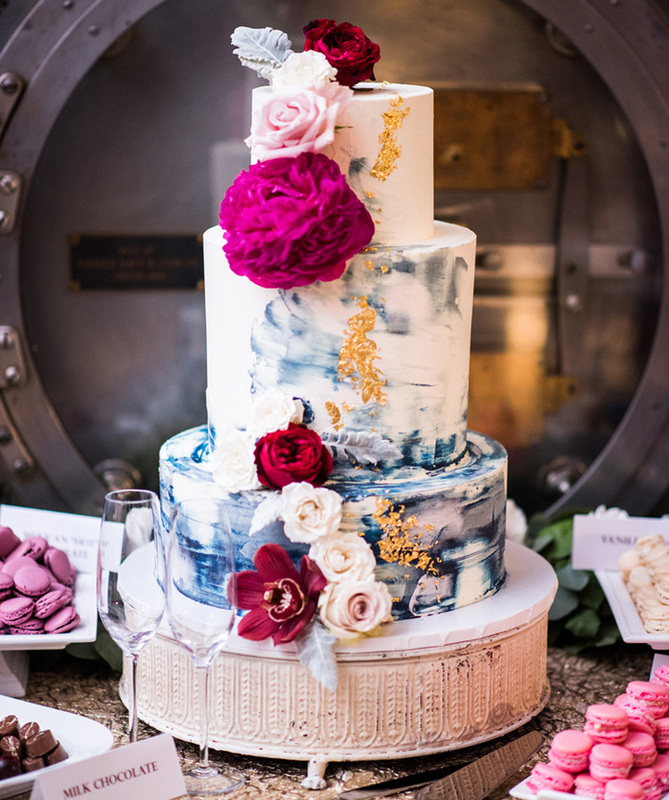 The luxe confectionary shop creates jaw-dropping cakes along with a plethora of homemade delights available for walk-ins. Among the most popular treats: salted caramel or banana curry truffles; the Southern Belle, a riff on pecan pie; and the Florida Native, a twist on Key lime pie with pound cake, strawberry and orange. 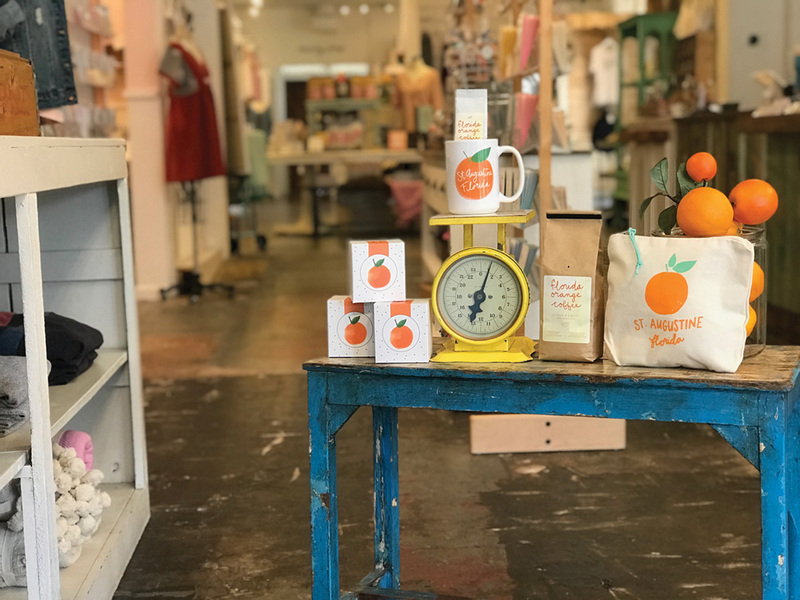 The perfect gift, accessory and apparel items at Declaration & Co.
SPECIALTIES: Lara makes, designs or curates every item in the store. 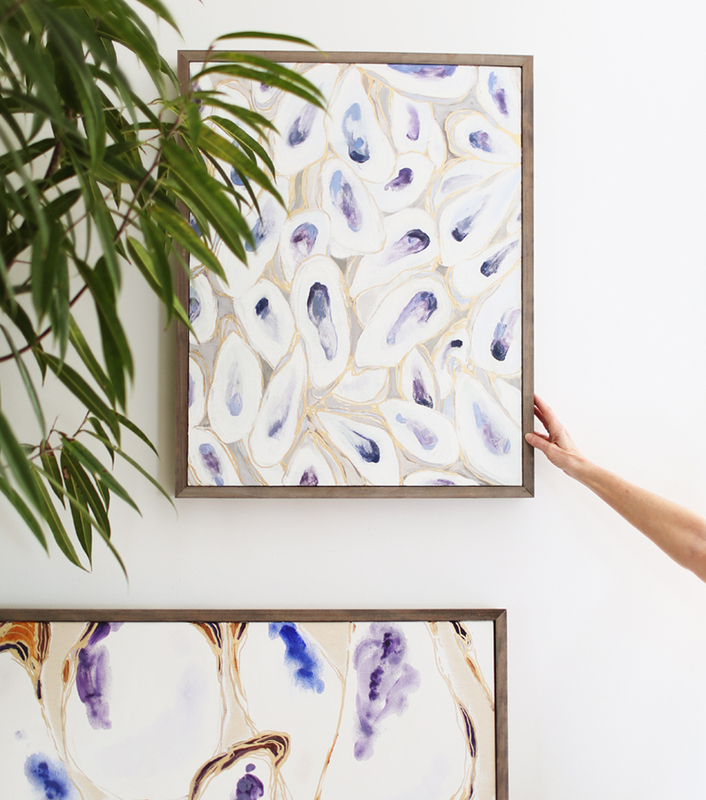 Her signature whimsical style shines through in her work, whether she’s creating candle scents and packaging from scratch or sketching a design for a T-shirt or note card. Find the perfect gift for that girl with a classic heart in this charming shop. “St. Augustine offers so many wonderful places to eat, drink and shop. We are just happy to be a small part of it,” says Steven Kocerka, co-owner of Declaration & Co.
SPECIALTIES: Inspired by Salt Run oysters harvested by her husband, Jenna paints the beautifully organic shaped shells because of her lifelong memories of sharing oyster roasts with friends, neighbors and family. The Salt Run Series represents a life well-lived in community with one another. 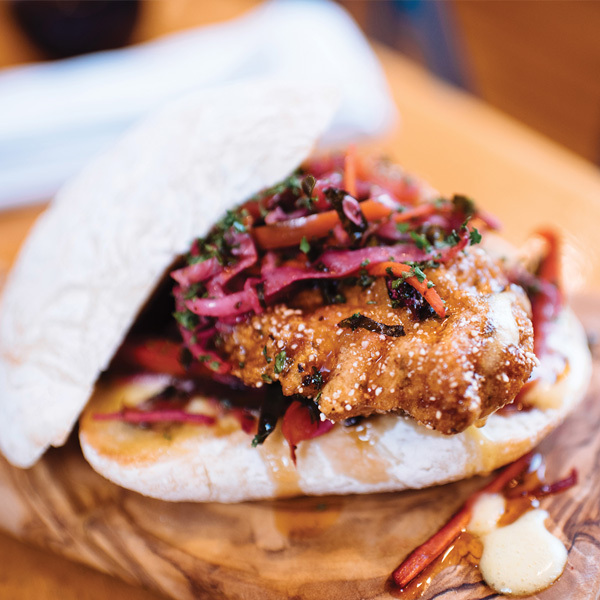 SPECIALTIES: Old Southern charm meets nautical vibes at this outstanding eatery reminiscent of your hip grandma’s house. Modern art, murals, and a signature giant crocodile pencil sketch adorn the walls. Locals crave the Shrimp (or fish or tofu) and Grits made with locally sourced everything and Pork & Waffles so good they’ve nearly incited riots. Shop for clean skincare, cosmetics and wellness goods at The Rosy Cheek. SPECIALTIES: Jennifer’s work as a professional makeup artist developed into a passion for small-batch, vegan, organic or medicinal-grade beauty products. Her chic beauty bar, located inside the Anchor Boutique, carries lines like Ilia, RMS Beauty and Grown Alchemist. SPECIALTIES: Expect stylish design, high-quality finishings and refined comfort throughout the brand’s new property. 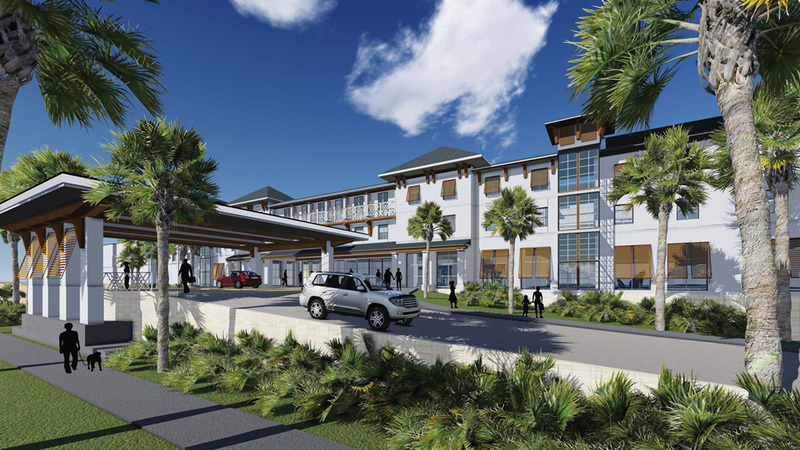 It’s the closest beachfront resort to the historic district, with complimentary made-to-order breakfast, nightly receptions, a fitness facility, a splash park, an infinity pool, beach services and a signature seafood restaurant Harvest & Reel. And don’t miss our Bird’s Eye View map of St. Augustine.